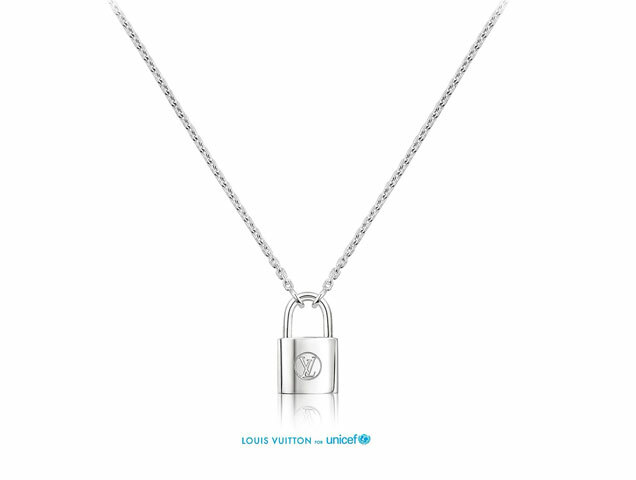 For the third year in a row, UNICEF is partnering with luxury brand Louis Vuitton to help raise funds for children who are exposed to conflicts, diseases, natural disasters and other situations that threaten their safety and well-being. For this year’s #MAKEAPROMISE campaign, actress Sophie Turner has designed her version of the iconic LV Silver Lockit bracelet. The bracelet features a braided red-and-white cord with Turner’s personal touch: a circular rabbit charm, which is a nod to one of her latest tattoos. For every bracelet purchased, $100 will be donated to UNICEF. For a more refined look, the campaign also features a silver Lockit pendant and silver Lockit bracelet, each of which donates $200 to the charity. The prices range from $300 for a bracelet to $600 for the necklace, available at Louis Vuitton.